President Barack Obama impersonator Reggie is best-known for his nationally televised performance at Republican Leadership Conference 2011, where he performed before a national audience on C-SPAN. Following his potent performance at Republican Leadership Conference, Reggie was covered by 110 original articles, gave more than 70 live radio interviews, was a trending topic on Twitter, and appeared in more than 15 live interviews on national cable and network news. 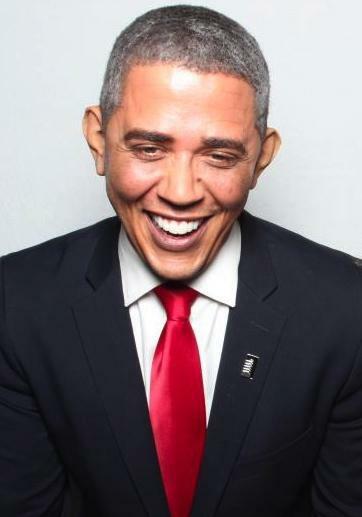 As a Barack Obama impersonator, he has appeared on many television programs including HBO’s Real Time with Bill Maher, NBC’s The Tonight Show with Jay Leno, ABC’s Jimmy Kimmel Live, TBS’ Lopez Tonight, FOX News’ Huckabee with Governor Mike Huckabee, FOX News’ Stossel with John Stossel, Comedy Central’s Workaholics, Disney’s Hannah Montana, WWE’s Capitol Punishment Pay-per-view, and Funny or Die. Best know for his repeat appearances on HBO’s Real Time With Bill Maher, our Obama lookalike has also starred in War Machine with Brad Pitt and Barbershop 3 with Ice Cube. 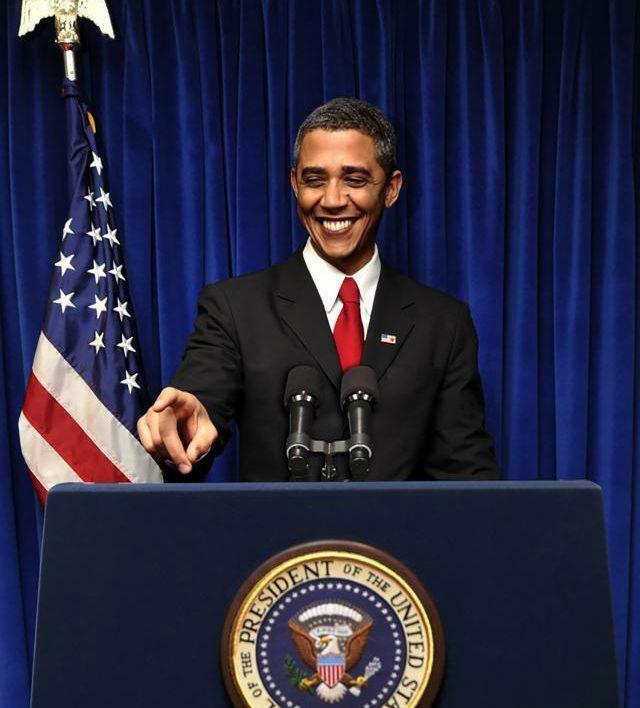 As a performer of political comedy, Reggie performed in many productions for Politicos Comedy Brigade, including Politicos: DC Unplugged and An Evening with President Barack Obama, all as an Obama impersonator. 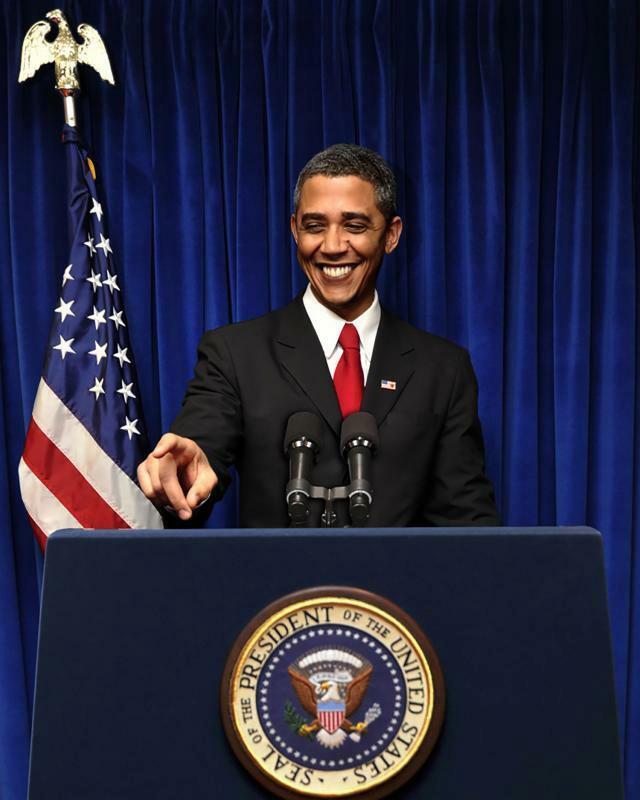 This Obama impersonator has performed in political comedy shows and appearances for major global brands including Sandisk, Unilever, Microsoft, Virgin America, USO, and Make A Wish among others. 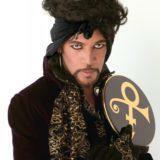 Traveling World Wide he has left his mark by making people smile. His writing skills can be custom tailored or collaborate with you. His inventory of material is also great to pull from. From a five-minuet appearance to a thirty minuet stand up routine Reggie is certainly at the top of his game.